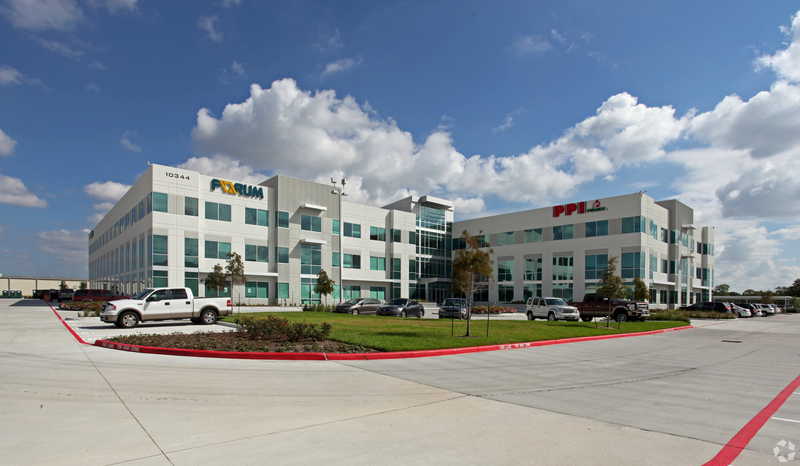 Forum Energy Technologies has renewed its lease for 108,639 SF at 10344 Sam Houston Park Drive in Houston for its global headquarters in Sam Houston Crossing II. HOUSTON – (Realty News Report) – Forum Energy Technologies has renewed its lease for 108,639 SF at 10344 Sam Houston Park Drive in Houston for its global headquarters. Transwestern’s Doug Little and Louann Pereira provide leasing services for the landlord, Buchanan Street Partners. Sam Houston Crossing II is a 159,056-SF, Class A office building has frontage on Sam Houston Tollway providing outstanding branding opportunities. The building, which is LEED certified by the U.S. Green Building Council, is 100 percent occupied. CBRE’s Jeff Cairns, Bill Boyer and Steve Hesse represented the tenant. Buchanan Street Partners, founded in 1999, is a real estate investment management firm headquartered in Newport Beach, Calif.
Forum Energy Technologies is a global oilfield products company, serving the drilling, subsea, completions, production and infrastructure sectors of the oil and natural gas industry.